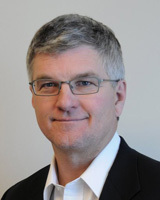 Bill has 25 years of experience in venture capital and corporate finance. Prior to joining ABS Ventures in 2001, he was Managing Director and Global Head of Deutsche Bank Venture Partners. He has also served as Vice Chairman of Global Corporate Finance at Deutsche Bank, and Global Co-Head of Industry Groups Investment Banking and Head of Technology Investment Banking at Alex. Brown and Sons. Bill serves as Chairman of the Board of Trustees for the New England Aquarium and Trustee of Dartmouth College and St. Mark's School. He received his BA from Dartmouth College and MBA from Harvard Business School. Portfolio Relationships: Bill is a board member of Certona, ClickSquared and Highroads, and has served on many other boards including Adeptra (acquired by FICO), Clearforest (acquired by Reuters) and PowerDsine (NASDAQ:PSDN, acquired by Microsemi).